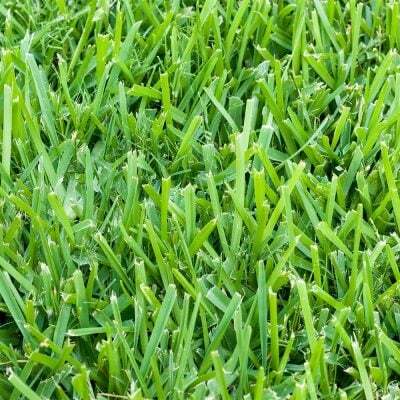 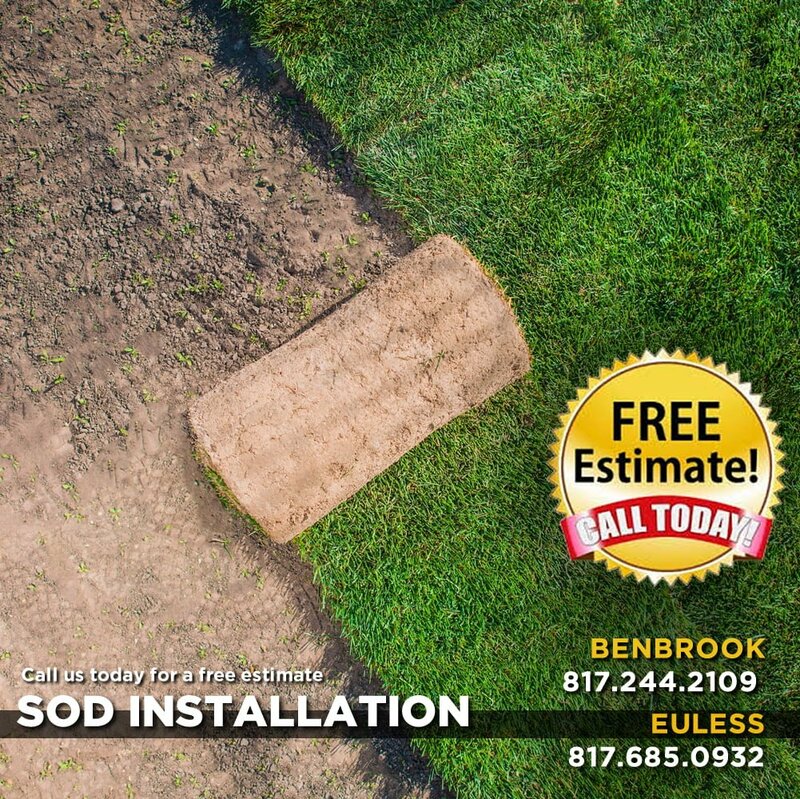 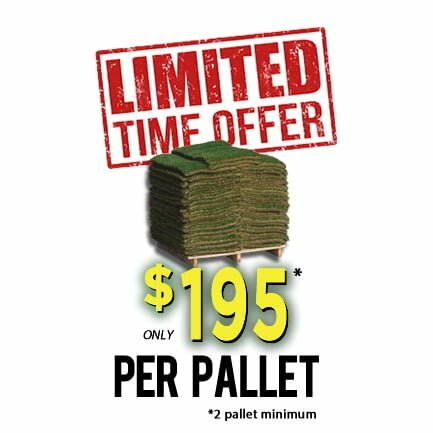 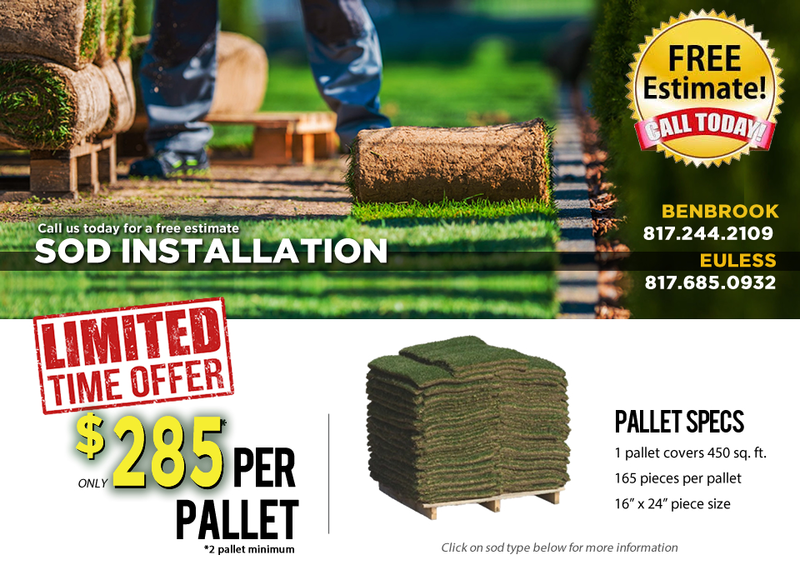 Raleigh St. Augustine is the most popular lawn grass in North Texas known for its thick blades in sunny environments. 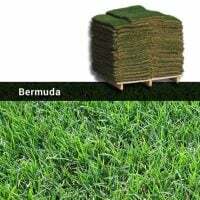 It is a spreading grass that is invasive and even chokes out some weeds. 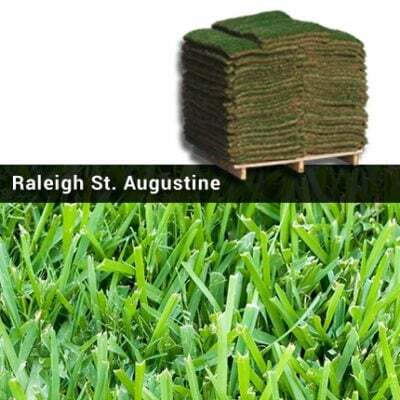 St. Augustine is dormant in the winter months greening up when low temperatures are in the 50s. Water for 15 minutes in the morning and evening until the grass is established.